Cool, aren’t they? Yael is a master crafter with a love of all things Japanese and cute. 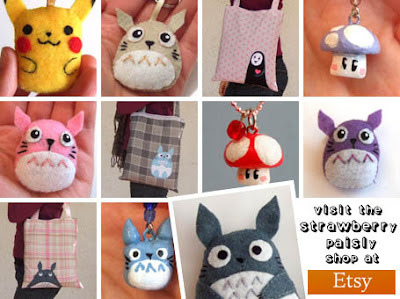 In her Strawberry Paisly shop you’ll find beautifully handmade bags, plushies, necklaces, keychains, phone charms and more - all adorned with gloriously cute characters inspired by everything from Studio Ghibli to Alice In Wonderland! And just the ticket if you’re looking for some heavenly handicrafts to brighten up your day! Enjoy!